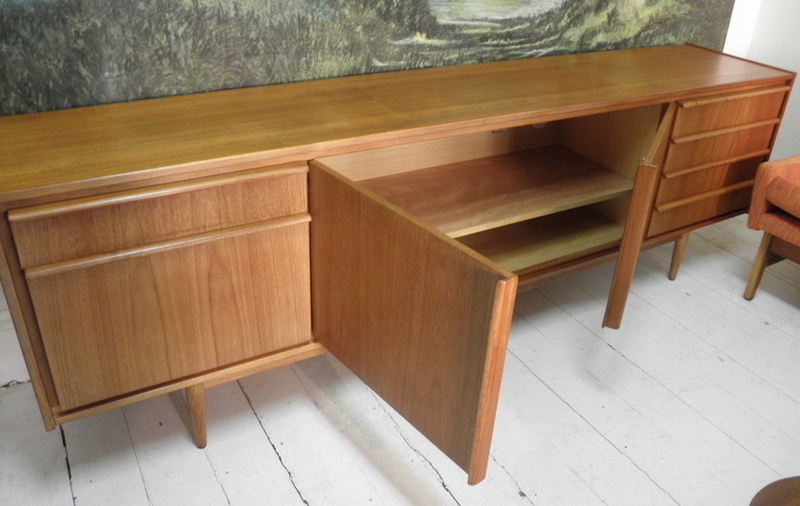 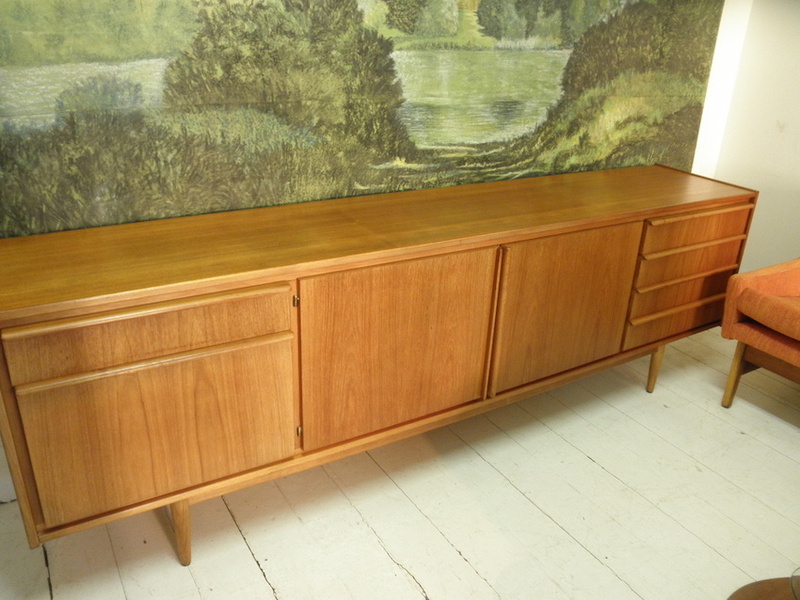 This rare huge Parker teak sideboard is in great original condition and is a great stylish way to add to your storage. 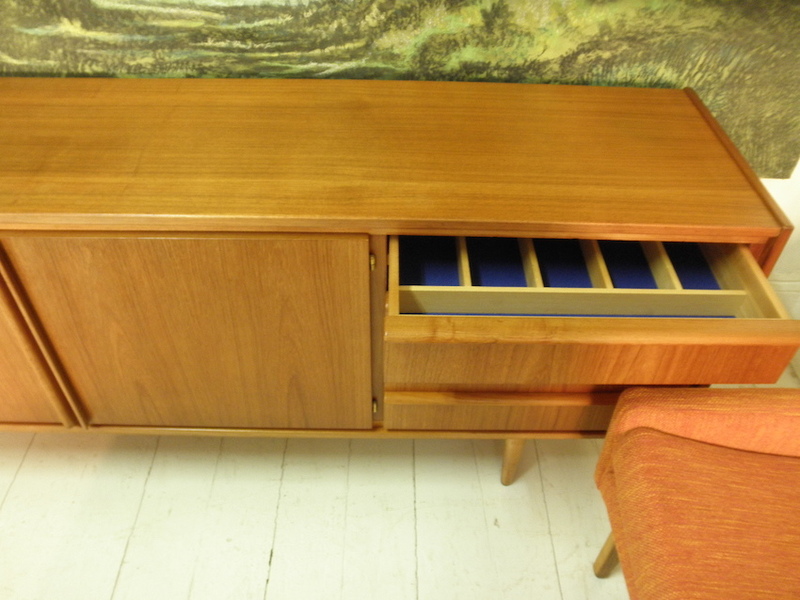 These wave handled models are getting very popular and I get more requests for these than earlier cats eye models these days. 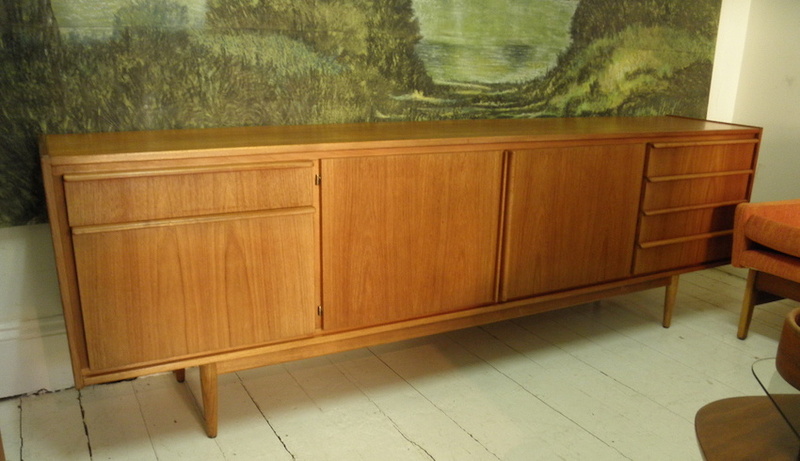 This is an amazing statement sized practical sideboard with great lines. 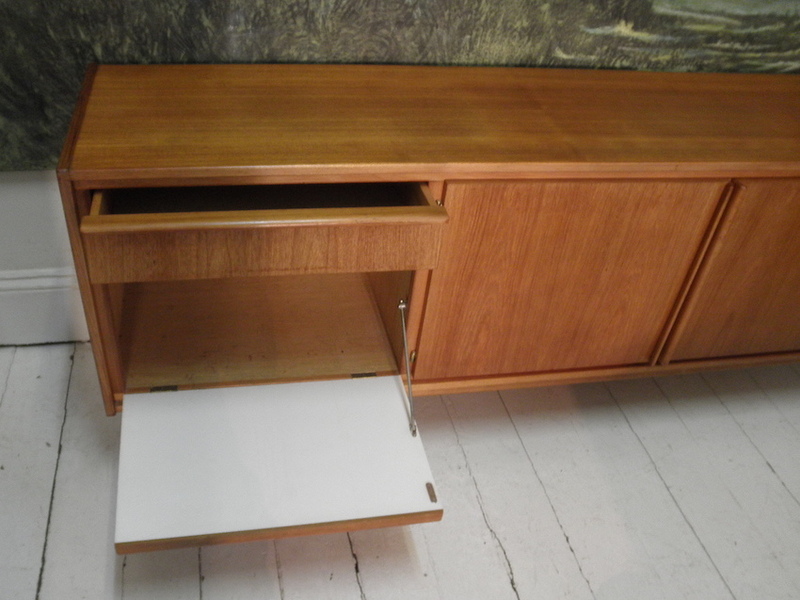 A Danish sideboard of this size and quality would be prohibitively expensive so be quick.